Then tell me what bio-chemistry is all about? Ummm ... the chemicals life uses for communication in it's various forms? Bio-chemicals are the stuff of life on earth and almost surely are in abundance on other earth-like planets throughout the universe. It is amazing that plants and animals are just a bunch of bio-chemical arranged in such a way as to create plant fiber and the ability for photosynthesis, as well as the human and other animal bodies with the ability to convert other bio-chemicals into energy. Actually bio-chemicals are the stuff from life (regardless whether you are talking this planet or not). Synthesizing the chemicals life utilizes is not the same as synthesizing life. To say the least, demonstrating how life arises from chemicals does not appear to be as easy as demonstrating how life arises from life. If a bio-chemist is studying chemicals that don't come from life, they can drop the "bio". (regardless whether you are talking this planet or not). Just in case you wanted to go full "star trek"
Synthesizing the chemicals life utilizes is not the same as synthesizing life. To say the least, demonstrating how life arises from chemicals does not appear to be as easy as demonstrating how life arises from life. When he begins by accepting the premise of abiogenesis, that's kind of a clue the discussion was theoretical, as opposed to demonstrative. A bio-chemist does not study non bio-chemistry. As Hazen said, living things use about 500 bio-chemicals. Oh and this statement by you is not "star trek"? Are you claiming life created bio-chemicals? 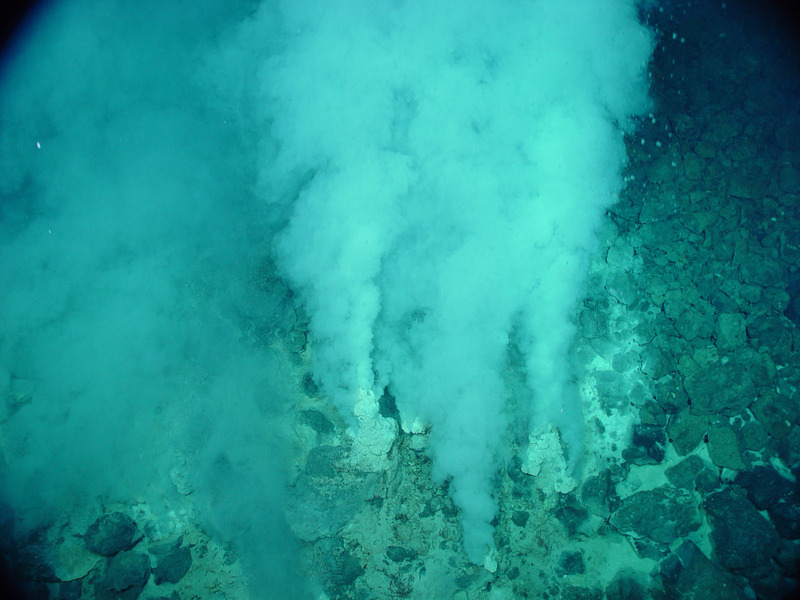 microorganisms found in hydrothermal vent precipitates. The earliest time that life forms first appeared on Earth is unknown. They may have lived earlier than 3.77 billion years ago, possibly as early as 4.28 billion years ago, not long after the oceans formed 4.41 billion years ago, and not long after the formation of the Earth 4.54 billion years ago. The earliest direct evidence of life on Earth are fossils of microorganisms permineralized in 3.465-billion-year-old Australian Apex chert rocks. I am claiming that synthesizing the chemicals life produces/has is not the same as synthesizing life. If it was otherwise, you probably would have said the word "Wohler" at least two dozen times by now. Human beings are not conscious of much of what they do, react to, perceive, etc. Very little of life makes it into consciousness - kind of a specialized aspect of a much larger complexity. I can't think of anything a plant would need - or want - to be conscious of. thus unborn children are not conscious ? While I agree that plants cannot think, they seem to be aware of their environment and will grow towards the light even if this light is some distance away. Yes. This is called life. The remarkable result of the experiment was that the second nearby uninfected tree somehow "knew" of a threat and also began to produce tannin, though it had no physical contact with the infected tree. How did this "communication" happen? Notice that your description of the communication doesn't imply any from of consciousness at all; it merely labels it as mysterious. The communication is biochemical. What does that have to do with consciousness? The division of biology from chemistry and/or physics (as opposed to being a sub branch of such things) shows it nicely. How does it show it? Explain how biology allows us to go against the necessary laws of cause and effect, please. And again I ask: explain what the cause is and what the effect is within your example, and how you know it goes against the necessary laws. Are you able and willing to do that please, or is all you have your one-line non-answers? Perhaps the first step along that path would be explaining how arriving at such a conclusion could be philosophically possible. If you can't successfully encapsulate biology within the disciplines of physics and chemistry it's self evident. There you go again with your claim of it being "self evident". They are different disciplines, yes, but that in itself is not evidence of what you are claiming. One merely starts at a far more complex level of interaction, at the point sufficient emergent properties arise that can be classified under a new label, subject to new methods of study. Doing so does not invalidate what occurs at simpler levels, nor does it suggest that the higher level ever overrides or steps outside the laws that govern the simpler levels. What you might get at those more complex levels is the appearance of properties or interactions that seem to go against those laws but, in reality, will do nothing of the sort. So does trying to go beyond the fundamental limits of empiricism. Also do not be confused that you are just talking about what might be the case. Talking about a detetministic universe and proving it are completely different things ... especially when one can talk about proving a detetministic universe being logically impossible. I am not the one holding that the universe is deterministic. You raised it with your "necessary laws". Thats a problem for the physicists. Professionals in biology and behaviour can still do their thing. Sure, but the work they do does not show that necessary laws of cause and effect no longer apply. If you think otherwise, as you have claimed, please provide the evidence. Or are you just going to revert to "self evident"? Please detail how I begged the question. Yes, it went from a "might" to detailing what the "might" would result in - i.e. the "actual" is still with reference to the "might". E.g. "X might be Y, and thus you wouldn't be able to state the actual A"
In order to prove the universe is not complely detetministic, one must first prove that it is deterministic. This may be a problem however because it appears to be not only logically impossible but also plagued by the possibility that deterministic phenomena need not be driven by necessary cause and effect. So you lied when you said "Yes, determinism means necessary laws of cause and effect."? You claimed a billiard ball was deterministic, that it followed necessary laws of cause and effect. You have claimed consciousness allows us to step outside of that - i.e. step outside those necessary laws. I.e. you are claiming that at simple levels of complexity (such as for a billiard ball) for example, it is deterministic, but at higher levels (consciousness) it need not be. To demonstrate that you need to show a difference between the laws that govern at the respective levels. You haven't provided any argument that has actually done that, or even suggested it. Are you ever going to? Or is "self-evident" all you have, or appeals to physics and biology being different disciplines? My position is that whatever laws govern the billiard ball (necessary or otherwise) govern the more complex, although they might appear not to - the way magic shows appear to defy the laws of gravity, biology etc. but in the Hazen, Seth and as well as the Hameroff clips, it is clear that sentience (sensory experience) is a chemical as well as a bio-chemical reaction to stimuli, at any level. Oh, but you a wrong. It is true that a Mayfly emits pheromones, which males up to some twenty miles can "detect" and "recognize". But, IMO there are as many languages as there are species, all atuned to and specifically recognized by the same species. Whales , Dolphins, and bats communicate by sub-sonar waves and by ultra-sound waves. (echo-location), Sharks are alerted by minute changes in the electrical fields. The single celled brainless slime mold can find food in a maze, by touch. The cuttlefish can shape-shift and completely blend with its environment. All are evidence of some form of Cognition. Birds each have their own dialect. Wolves communicate over long distances. We need to build artificial loudspeakers or amplifiers, to even observe all the methods of communication are used by living organisms. Ever listened to the symphony of sounds in the night or early morning? Bio-chemicals (such as DNA) are just the building instructions from which living biochemical objects and organisms are formed. It meets the criteria for life; it does not meet the criteria for conscious. Even if we are tweaking the place where, exactly those criteria for consciousness lie, it doesn't come close. "That ball was out of bounds." "How can you be sure? The boundary is obviously smudged at least a foot wide." "Because the ball landed in the parking lot." You are using the word 'language' metaphorically. Even if you wish to stick to that rather fuzzy definition, then it simply means language does not require consciousness. Plants don't make up the words for their languages, any more than your proteins make up the language to communicate with your cells. Yes. None of which require consciousness. If the constituent chemicals can be synthesized and then arranged the same way as they are in living things, how would you distinguish the result from living things? It's how the beings that are "synthesizing life" now do it, continually. Mathematical functions are a form of information which all things must follow. It is the language of nature. Right, I never claimed "consciousness", I claimed "sentience", the ability to respond to external and internal stimulation. Question; can a tree suffer? And how does it respond to injury? Chip a rock and it does not respond in any observable way, but a "living organism" does respond to external stimuli. Anecdote: I had an apple tree which yielded just a few apples p/yr. My neighbor, a old time farmer, sggested I take a sledge hammer wrapped in a jute sack, so as not to damage the tree, and give the tree a few hard whacks. The idea is to cause stress to the system and thereby make the tree defend its existence by producing more flowers, resulting in more apples. True enough after hitting the base of the tree an few times, the next season produced a much larger numer of flowers and bees did the rest. Result, lots of apples (seeds). This phenomena is known by all biologists, put a flowering plant under stress and the result is that it begins to spend all it's energy in order to produce flowers, a natural attempt to preserve survival of the species. Right, I never claimed that. Plants don't need to know the lanuage, all they do is follow the instructions. Is "applied" mathematics a language? IMO, no, but applied mathematics do follow physical instructions which are based on mathematics. Thus plants grow in accordance to their mathematical DNA instructions, which create mathematical patterns, everywhere. Does the organism need to know the maths in order to react via mathematical imperatives. No, but how and why do all daisies and a host of other plants (unwittingly) use the Fibonacci Sequence in the formation of leaf and petal growth? They don't know they do this, but they do it nevertheless. They just set up little bio-chemical machines that naturally form the FS pattern. Perhaps, this is due to a few billion years of trial and error in natural selection resulted in the most efficient way to maximize their energy distribution for survivability. Why do flowers follow the sun's position in order to get maximum exposure? Why do the leaves of plants seek light? Why do flowers fold their petals at night? If this is done via sensors, then by definition the organism is sentient, albeit at a very rudimentary level, not necessarily at a conscious level, but at a reflexive level. IMO. I disagree, IMO, this is sensory ability........dfference. What is photo-synthesis, if not a mathematical chemical sensory function in living trees? Which has nothing to do with the topic. Which is not what sentience means - even according to your Wiki reference. All life responds to external stimuli. It's part of the definition. Because a chemical reaction in a molecule triggered by light causes a shortening of the fibres on that side of the stem. If it's a reflexive action, then it'a not a sentient action. I am not sure what you are asking. The difference between synthesizing life and synthesizing the chemicals life uses seems obvious. Bringing synthetic chemicals to a host doesn't circumvent the prime requirement for a host. Unless you have evidence to the contrary, like a secret language of communication amongst automobiles, it makes zero difference to a car whether it is polished on display for a hundred years or totalled five minutes after leaving the dealers yard. So what? That only means that they are very patient. What's the difference between a synapse and a microchip?